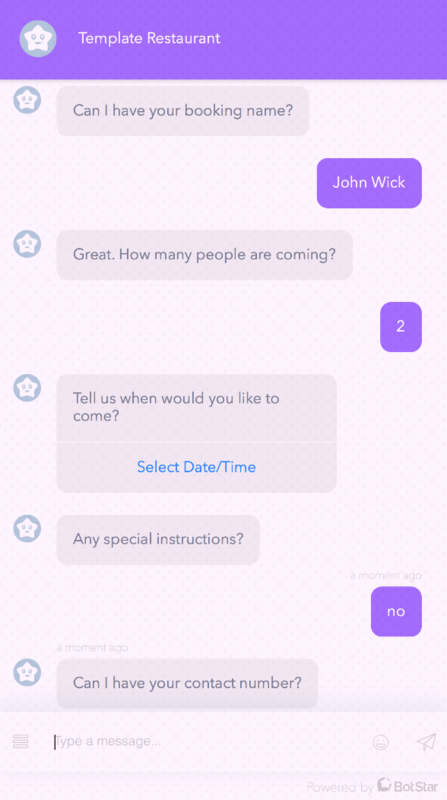 This simple restaurant bot is designed to represent your local restaurant. 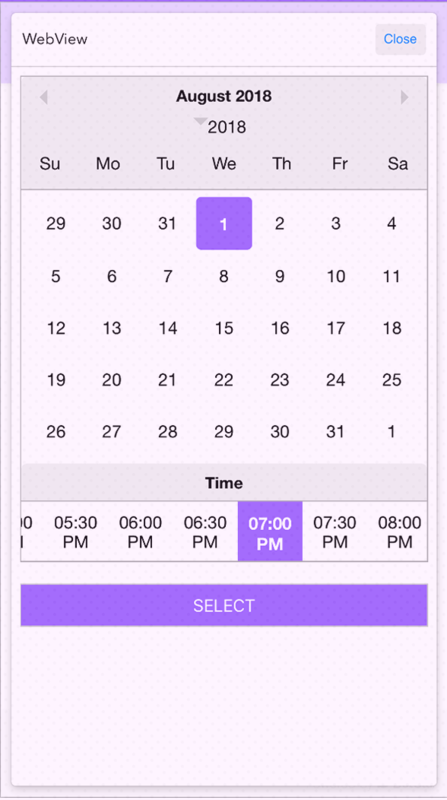 It can display menu and take bookings from end-users. According to recent survey, 89% of consumers prefer to communicate with businesses via text and 64% of people have positive perceptions of businesses that communicate with customers via text. 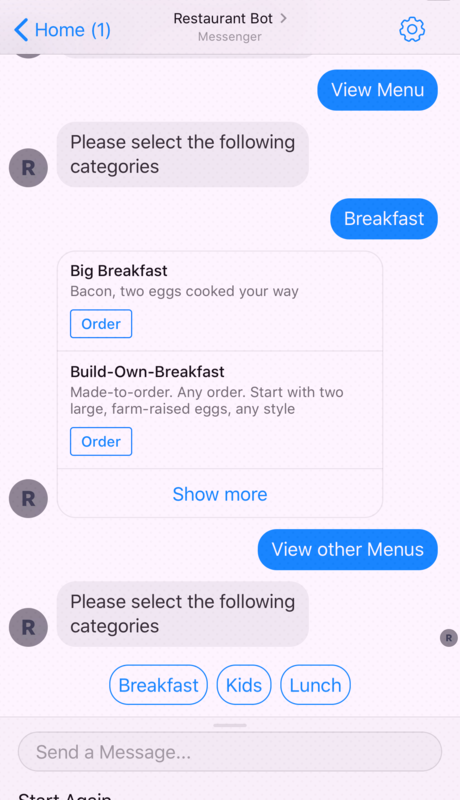 In short, the future of business is conversational. That's why, adopting chatbot to business becomes inevitable. 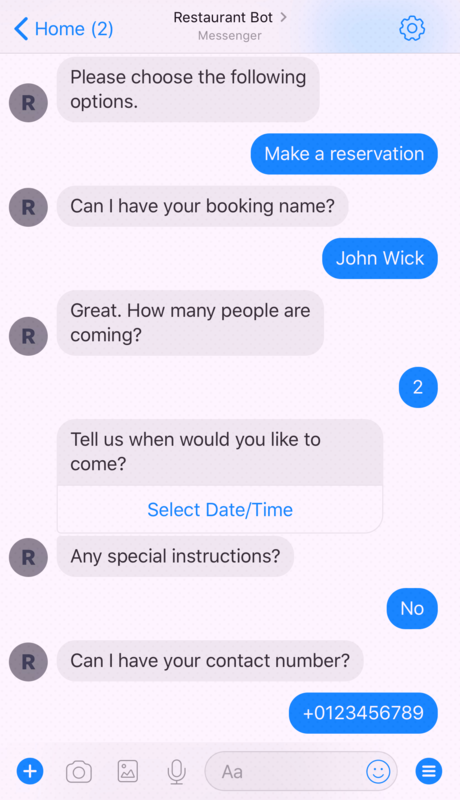 Restaurant chatbot template helps customers to access menu, make orders and book tables instantly - anytime, anyplace.